Blackberry & Thyme Infused Vodka OKAY? Get in on this Cookie Advent Calendar action. Sandra Lee’s Drunk Christmas Tree. Too. Much. Do you know Kristin? I love her blog! 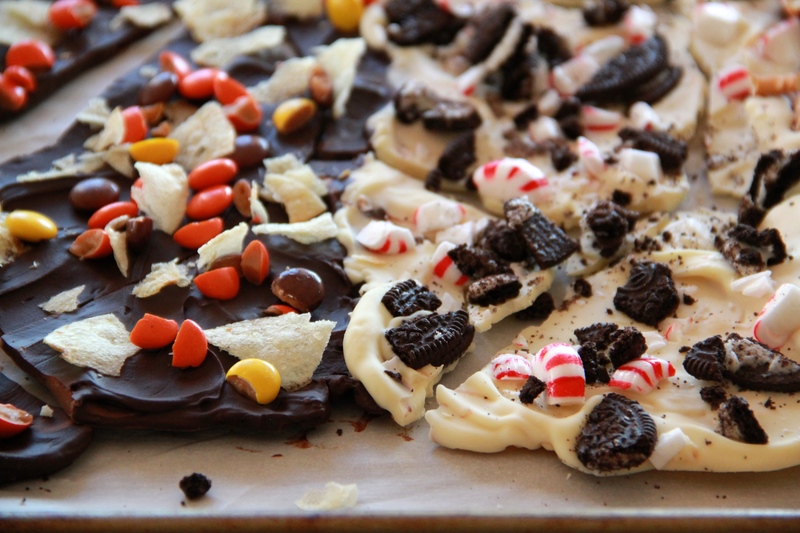 Want to learn how to make chocolate candy bark (above)? Buy my cookbook! This lip pencil is gorgeous in person. I love the bright “edie” color! How to make a hit pop song! With a bassoon. Hysterical. But wait. How to make a hit CHRISTMAS pop song!? This guy is good. Kitten-shaped marshmallows are real. So there’s that. These gorgeous nutella cookies are going to be my next baking project, yep yep. Baked Sweet Potatoes + Win a free copy from my girl Ileana at A Little Saffron! Chicken Parm + Win ANOTHER free copy from the ladies over at Cookbooks 365! Thanks for the link love! Again, congrats on the book, so exciting! I can’t wait for my copy to arrive so I can make some of the delicious recipes! Just bought TWO Sheet Pan Suppers Cookbooks- CANT WAIT! Miss you girl.